The 16th China International Small and Medium Enterprises Fair (CISMEF) is expected to help domestic SMEs increase their presence around the world and help foreign SMEs expand throughout the vast mainland market, organizers said. The annual event, which will be held in Guangzhou from June 24 to 27 and have an exhibition area of more than 160,000 square meters, is the largest trade and cooperative fair for SMEs in Asia and the Pacific Rim. Ren Xiaotie, deputy secretary-general of the Guangdong provincial government, said that the Guangdong provincial government attaches great importance to the CISMEF, which is playing an increasingly important role in promoting cooperation between SMEs in China and abroad. "Sino-foreign cooperation will further expand in 2019, as the Chinese central government has confirmed its strong support for the development of private industry and SME technological innovation," Ren said at a briefing to promote the 16th CISMEF in the Guangdong provincial capital on Wednesday. 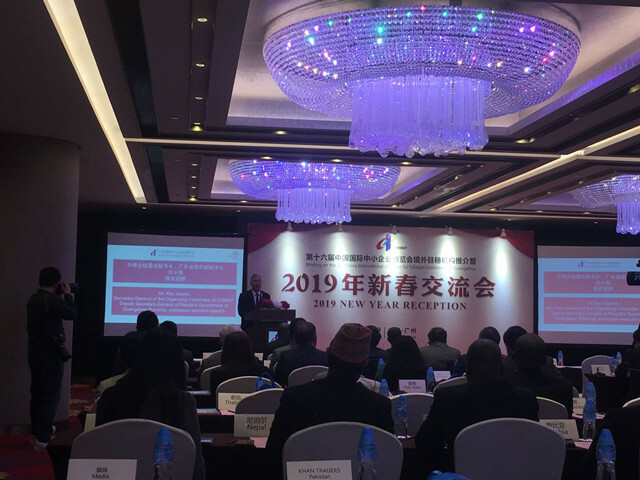 Over the years, CISMEF has provided a strong platform for SMEs at home and abroad to further advance cooperation and upgrade technology and production methods, he added. Ye Dingda, deputy director of the SME Bureau of the Ministry of Industry and Information Technology, said China has invited a total of 19 nations to jointly organize previous CISMEF events and a total of 47,000 SMEs have participated in the events over the past 15 years. "CISMEF has helped domestic companies go abroad and foreign firms enter the mainland market. It has been well-received by various governments and a myriad of SMEs from around the world," he said. He Zuoxian, deputy director-general of the Guangdong SME Bureau and director-general of the Bureau of CISMEF, promised to offer even better services to SMEs and other participants of the upcoming 16th CISMEF. "Organizers are trying to build the CISMEF into a famous international trade and cooperation event for SMEs," he said. He urged SMEs from home and abroad to participate in the 16th CISMEF as it offers a myriad of business and cooperation opportunities. The event is jointly organized by the Ministry of Information and Information Technology, the State Administration of Market Regulation and the Guangdong provincial government.